← Will I Lose my Alimony if my Ex Files for Bankruptcy? 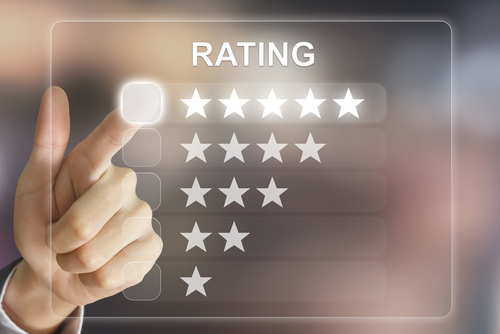 Should Law Firms Care About Online Reviews? In today’s tech-centric world, online reviews can cement your reputation as either a credible business that is fair and easy to work with, or a deceptive business that is difficult to work with and cares little about their clients. Law firms are no different, and your online reputation means everything to your current and potential clients. A plethora of positive reviews online may be the single most important deciding factor in a client choosing to hire your firm over your competitor’s firm. Conversely, negative reviews can leave potential clients with an uneasy apprehension about hiring you and therefore they may likely consider hiring a competitor that has stronger online reviews instead. How does a law firm go about securing solid online reviews? Here’s a hint: it starts with positive customer interactions. It should go without saying that any reputable law firm should place quality customer care as a top priority. Customer care encompasses everything from returning client calls and emails in a timely manner while directly addressing all of their questions and concerns, to remembering to explain legal concepts and jargon in layman’s terms. While it can be easy to forget and revert to “legalese” when passionately absorbed in talking about a case, it is important to consider that your client likely doesn’t have a background in law and conversing in plain English makes you a more down to earth attorney. Practice the nearly lost art of active, attentive listening. Try not to become distracted by your digital devices during face-to-face client meetings. Take notes on paper if you have to, but be engaged as the client is telling you their story. Try not to interrupt too frequently with questions. Take the extra time to listen to their whole story first, then go back and ask pertinent questions after they have finished. This shows your client that you respect them, value their time, and are genuinely interested in what they have to say. If you’re already routinely practicing the aforementioned approaches in your client interactions, you’re likely also confident that you possess the legal experience, interpersonal skills and integrity to represent your customers fairly and successfully and ultimately win cases in their favor. So how do you go about soliciting for positive reviews in a non-awkward way after having successfully represented your clients? There are a few subtle yet straightforward approaches you can take to gently encourage satisfied clients to leave you a positive review online. Most former clients are happy to take a few extra minutes out of their day to oblige. This is especially true if they’ve had a good experience working with you and would hire you again in the future or recommend your legal services to friends and family. Here are a few ideas on ways to obtain online reviews that will represent your firm in a positive light. Feel free to include a tactful written request for reviews in the close-out letters you send to clients. This is a great way to plant the idea of writing a review in your client’s head without coming across as too pushy or arrogant. Get in the habit of following up with a thank-you email to clients after their case has been closed. Thank them for choosing your law firm and giving you the opportunity to represent them. Make sure you emphasize that client satisfaction is a priority and that you’re always interested in feedback. Include a link to your Google business page or other relevant review site for their ease and convenience. In a final follow-up phone call, ask your client if they are satisfied with the services you’ve provided and if there is anything you might be able to improve upon in the future. Be careful with this option, as some people don’t like to be put on the spot, and would rather have a chance to reflect upon something in writing before they commit to leaving a review. However, depending on the personality of your client, they may prefer talking on the phone and may happily agree to write a review, where you can then follow up with a final email that includes links to where you would like them to leave a review.